Nestled on the outskirts of Ubud, Sri Ratih Cottages, Bali is one of the well-known Balinese hotels. Situated in the Banjar of Campuhan, this Bali hotel is a paradise of peace and tranquility. The swimming pool of the hotel is surrounded by a tranquil garden. You can also sample mouth-watering cuisines in the restaurant or enjoy soothing massage treatment for optimum relaxation. 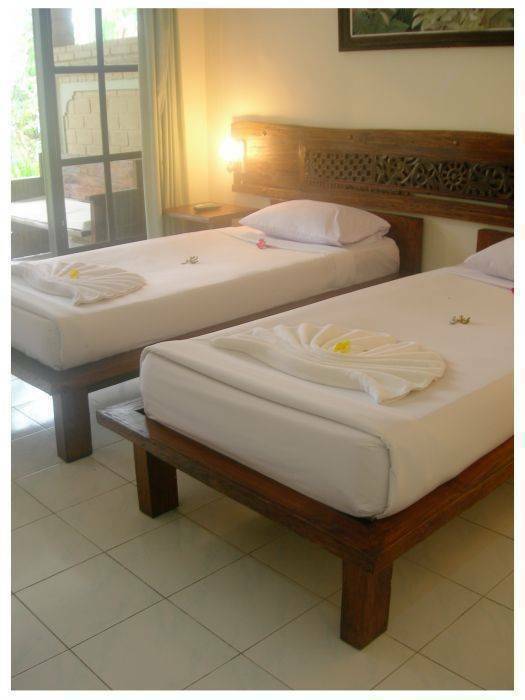 There are 26 rooms furnished rooms in Sri Ratih Cottages, Indonesia. Denpasar Ngurah Rai international airport is 45 minutes drive from Sri Ratih Cottages. Center of Ubud art culture is also 10 minutes walk from here. Sri Ratih Cottages, Bali has 26 rooms which are categorized into standard fan cooled room, standard AC room, superior room and deluxe room. All the rooms of this hotel have individually controlled air-conditioning system except the fan rooms. The use of Balinese style furniture reflects Balinese influences. You can watch entertaining programs on the satellite television set of the hotel. Other room facilities available in Sri Ratih Cottages are in house movie channel, telephone, mini bar, hair dryer (on request), and extra bed for baby, also private bathroom with hot and cold water facility. 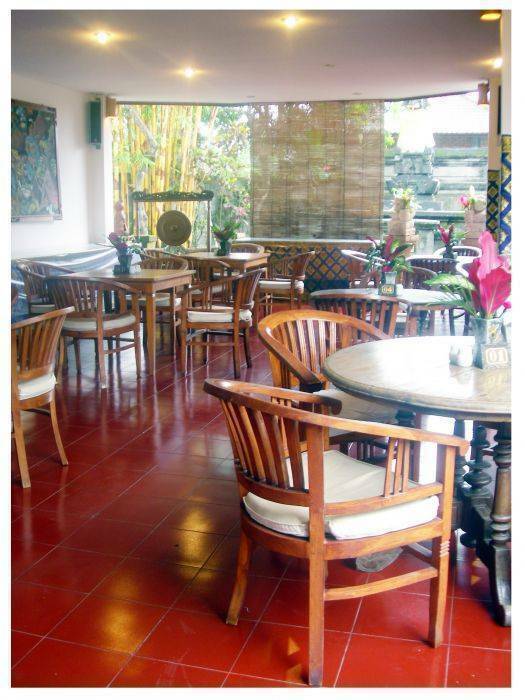 The restaurant of Sri Ratih Cottages specializes in International cuisine and a la carte menu. For your relaxation there is a swimming pool inside this hotel. You can also avail massage facility in this hotel. Refer to the tour desk to gather information about the city. Some other hotel amenities and services that you will get in Sri Ratih Cottages are safe deposit box, tour desk, facsimile, meditation hall and car rental facility. Sri Ratih Cottages, Bali shelters an on-site restaurant. 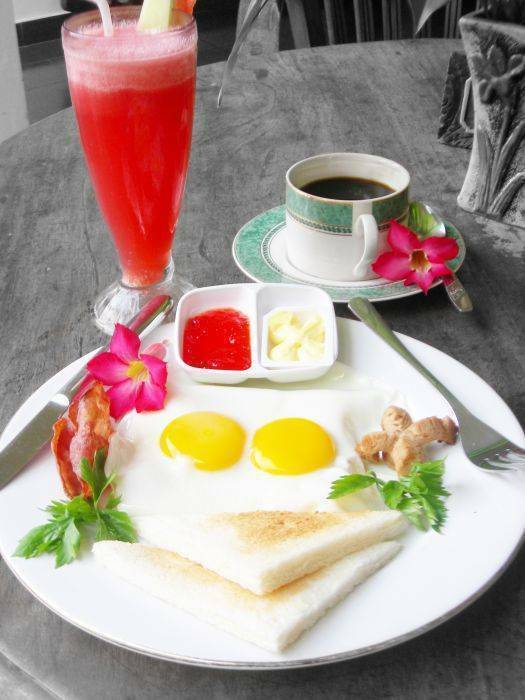 Sri Ratih Cottages Restaurant serves you delectable International cuisine include a la carte menu. The restaurant is open all round the clock. The in-house swimming pool of Sri Ratih Cottages in Bali, Indonesia is perfect to take a refreshing. Plunge into the swimming pool and rejuvenate yourself. There is a tour desk in Sri Ratih Cottages Hotel. You will get all kinds of city information including city attractions, entertainment, shopping and business areas from here. The tour desk of the hotel also provides you information about tourist places like Garuda Wisnu Kencana, Bali Bomb and Mount Agung. 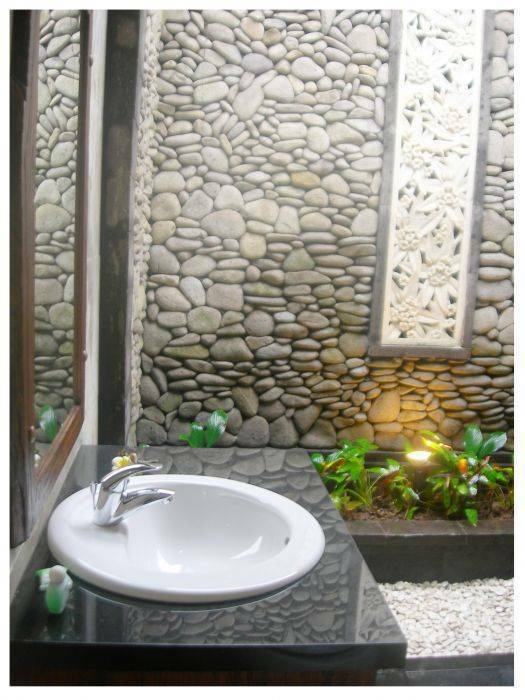 The rooms of Sri Ratih Cottages, Bali offer you all the comforts and luxuries of home. There are a total of 26 rooms in this Bali hotel. The various categories of rooms that you can opt for include standard room, superior room and deluxe room. All the comfortable rooms except the fan rooms of Sri Ratih Cottages Hotel in Bali are fitted with individually controlled air-conditioning system. To offer you heart taking view of the nearby areas, the rooms have furnished balcony or terrace. The rooms of Sri Ratih Cottages rooms are decked up in artistic Balinese style of décor. 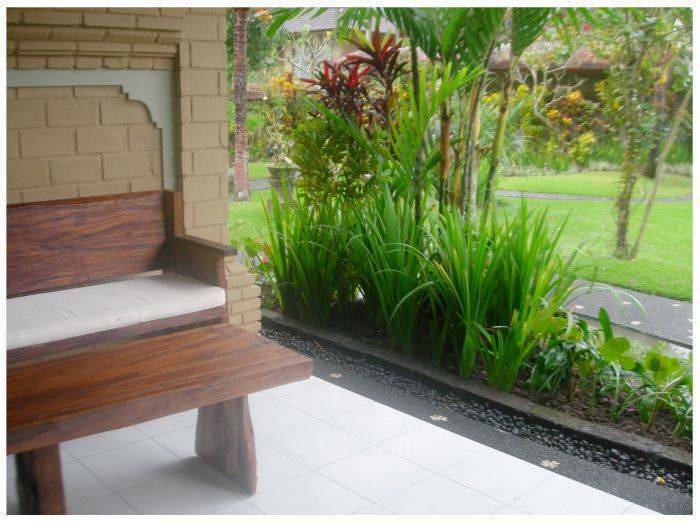 You can just sit on the Balinese style furniture and enjoy vista of tropical garden. For your recreation you will get satellite television and in house movie channel in Sri Ratih Cottages. The private bathrooms also have hot and cold running water facility. Sri Ratih Cottages in Bali is located on a serene location. The hotel is placed on the outskirts of Ubud. From the location of the hotel you can easily reach the restaurants, galleries, shops and city attractions comfortably. Ubud art culture is 10 minutes walk and the village of Penestanan is just few minutes walking distance from here. Other attractions that you can tour from this Bali hotel are Ubud Palace, Garuda Wisnu Kencana, Bali Hindu temples, and Lovina Beach. You will have to cover a distance of 45 minutes by car to reach Denpasar Ngurah Rai international airport from the hotel. Reservations canceled less than 2 days prior arival are charged 1 night stay. We accept payment with Credit Cards: Master Card, Visa. Sri Ratih Cottages, Bali is gifted with a planned location. The hotel is located on the outskirts of Ubud. You can reach restaurants, galleries and shops from here. Village of Penestanan is few minutes walking distance from this Bali hotel. Ubud art culture is also 10 minutes walk from Sri Ratih Cottages. Distance from the airport: The nearest airport to Sri Ratih Cottages, Bali is Denpasar Ngurah Rai international airport. The hotel is only 45 minutes drive from Sri Ratih Cottages. Most of the Indonesian cities like Makassar, Jakarta and Surabaya are connected to this airport. 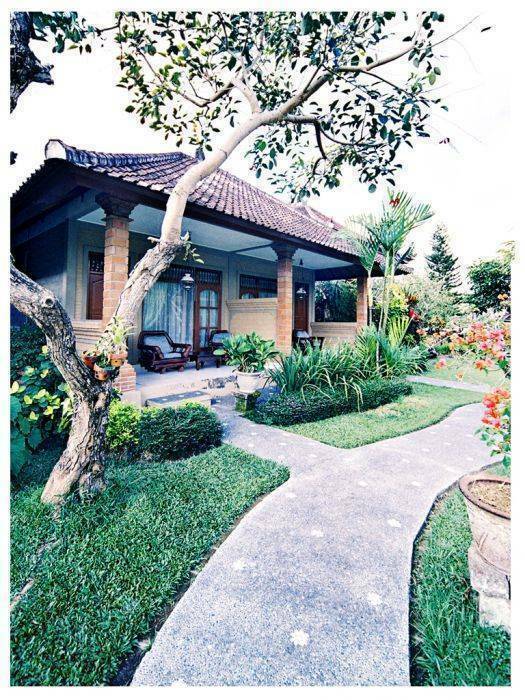 Distance from the city center: The city center of Bali is easily accessible from Sri Ratih Cottages. Ubud city center is also a short drive from here.